Recently I posted a Tutorial on Howto get a Blogger custom domain from BigRock on my Digi Blogger Blog, And today I'll teach you How to make Free Email's which we get from BigRock when we buy domain. This is actually a simple task, If you know how to do it But it may seem difficult at first. Step3: Now click on the domain name you want emails for. Now It will take you to Email dashboard, Click on Manage tab and then click on any of the option. 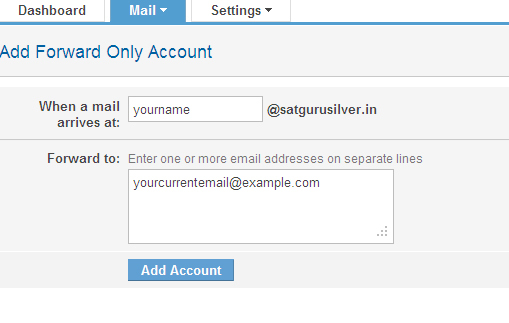 Add user: This option will help you set up email But to check inbox, you'll need to login in to your BigRock account. 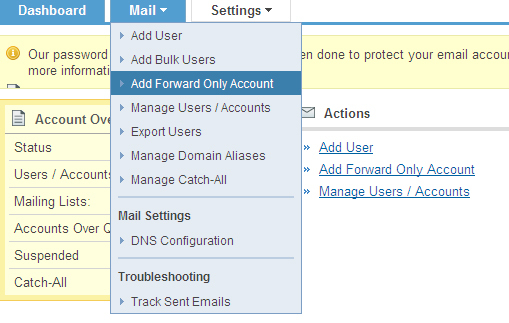 Add Forward only/ Account: This option will help you to set up an account and the email sent to that email id will be forwarded to your current email id. I recommend you to use third option 'Add forward only/Account' because then you'll don't need to check emails on different accounts, All emails will be forwarded to your current account. example: Suppose my current email is jim@example.com and i've created an email jim@bigrockdomain.com, Now if i choose third option, All emails sent to jim@bigrockdomain.com will automatically get forwarded to my old email jim@example.com. So i don't need to switch accounts again and again to check my email, All emails will come to my old account. Just click second option from the manage tab and follow the steps BigRock give you. If you chose to create a forward account then just follow the Tutorial, because In this tutorial i'll use third option for teaching. Step 6: Now click on 'Add forward only/account' from manage tab. Step 7: Now enter the email you want in the given box (eg: your name, inquiry, info) and in the box below add your current email address. Step 8: Now Click on Add Account. Now you've successfully created an email with BigRock. Please leave your valuable comments. If you Liked my post then Please take a few seconds to share.